Gavin Maxwell was born on the 15th July 1914 the youngest son of Lieutenant-Colonel Aymer Maxwell and Lady Mary Percy, fifth daughter of the seventh Duke of Northumberland. As the fourth child he had a sheltered upbringing in the small village of Elrig, in Wigtownshire. He was late being sent off to boarding school and struggled to mix with other children, preferring animals which he always had a natural affinity with. He attended Oxford, leaving with a 3rd class degree shortly before World War II. He managed to get a commission with the Scots Guards, the regiment that his family were associated with and moved down to Pirbright for training. His fitness was suspect though and he was moved sideways into the newly created SOE. He was an ideal instructor after the years spent roaming the wilds of Scotland and his keen eye as a shooter meant he was a crack shot. In the end his fitness meant that he couldn't stay and left the army. After the war, he borrowed £11,000 from his mother, technically an early inheritance, and bought himself an island. He set up a business to catch and process basking sharks, but it failed and he ended up selling it. He dabbled in car racing, having always had a love of speed, but wasn't hugely successful at that either. He tried various activities to occupy him, including painting, something he loved but wasn't particularly proficient at, but it did lead him to find a place that was to be a part of his life for a long while to come; Sandaig. This idyllic house was located on the coast with pure white sand, springy green turf and with the nearest neighbour two miles away it was to become his refuge, his Avalon. Whilst he was there he put down his brush, picked up his pen, and wrote the story of his attempt at shark fishing, Harpoon at a Venture. This book was critically acclaimed and was to be the first of many books that he would write. The desire to travel would take him to Iraq with Wilfred Thesiger and Gavin Young and more books would be forthcoming, including the renowned A Reed Shaken By The Wind of his travels around the marshes of southern Iraq with the Arabs that called it their home. It was here he was to encounter the animal that would define the next stage of his life, the otter. He managed to acquire a small cub called Chahala, but it died shortly after receiving it. He asked if another could be found and soon after an another otter was brought to him; this he called Mijbil. This was the otter that he returned to Sandaig with. This animal was to bring him immense joy and a certain amount of chaos and distracted him in his writing. Mijbil was tragically killed, supposedly in an accident, but many knew it was a deliberate act of cruelty. More otters were sought and it was these that were to inspire his to write his masterpiece Ring of Bright Water, a title taken from a poem by Kathleen Raine called "The Marriage of Psyche". The book about the wilds of Scotland and the otters became an instant bestseller and made Maxwell famous overnight. The income from the book meant that he could clear of some of the debts that he had got from his extravagant spending and it meant that he could fund a series of travels to Morocco for material for the next book he was planning. Maxwell suffered from bipolar disorder who had massive highs and lows, he was a closet homosexual, something that was illegal at the time and it made him an immensely complex character. He had turbulent relationships with the few women in his life and was even married briefly to Lavinia Renton for a short period. The most intense relationship was with Kathleen Raine who cursed him and the house after a particularly stormy row. He had come from a wealthy family and he could spend money like water, buying cars and properties with no consideration as to the way of securing an income from them. Even though he was a writer of rare talent, he was considered to be very difficult to deal with, asking for large advances, early payments against royalties and frequently very late for submissions. He drank heavily and smoked a great deal, probably a contributory factor to the cancer that he succumbed to at the end of his life. 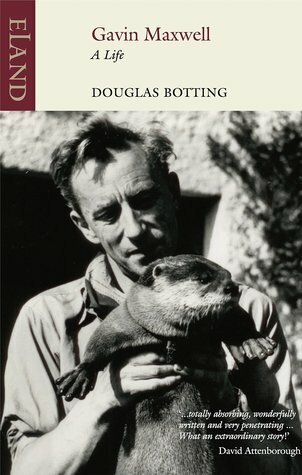 Botting's superb republished biography of Maxwell is timely given the rise of interest in nature and landscape writing. He was a friend of Maxwell, and this shows in the book as he has been able to write about details that someone who never knew him would not have been able to discover. Maxwell lived life to the full and Botting is honest with his profile of him too writing about the good and the bad, the successes and the failures with a critical but not unkind eye. This superb biography reminded me of the one by Artemis Cooper of Patrick Leigh Fermor, another writer who redefined a genre. This book has been given the Eland treatment with their distinctive branding and is a worthy addition to their collection of classic books. Sign into Goodreads to see if any of your friends have read Gavin Maxwell.